Pie Factory Music believes in giving access to creative community based facilities and a diverse range of activities to improve young people’s social skills, emotional health and wellbeing. We work hard to offer both a universal and targeted approach to our youth provision and recognise the value of working with young people who face challenging circumstances. We aim to engage and build positive relationships with families, the wider community and partners, to empower them as active partners in the delivery of our services. All sessions are delivered by trained youth workers alongside sessional and volunteer youth workers, with further support from young leaders. Our fully equipped Youth Centre is open 4 nights a week and each night of the week has a slightly different focus. Activities include Music, Football, Pool, Cookery, Coffee bar, Tuck shop, Table tennis, Fusball, TV, Photography, Art, Fashion and lots more. We also offer volunteer opportunities, CV writing workshops and job searching support. We’re also offering sessions in local schools, street-based youth work sessions and sessions to cater for the rural areas of Thanet so look out for us and say hi if you see us out and about! To keep up to date with all that’s on offer make sure you sign up to our mailing list and follow us via social media. 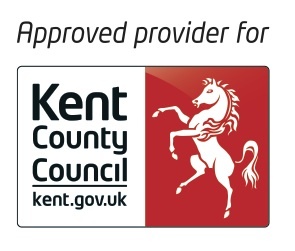 Our Thanet youth service is funded through a KCC youth services contract, and we are an approved KCC provider.